This bride chose not to have a traditional stacked wedding cake. She wanted cupcakes. 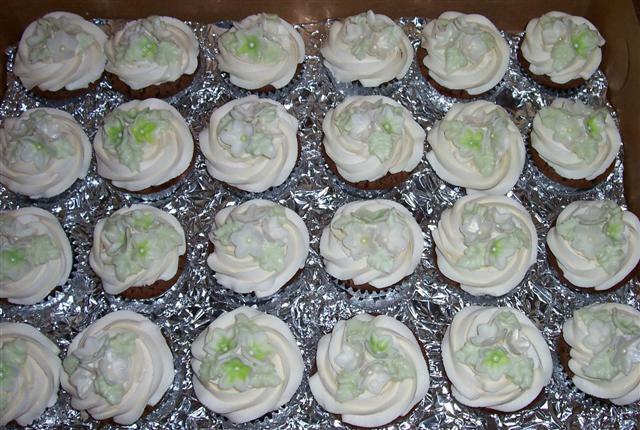 So I did 100 cupcakes, plus a 6″ round for the bride and groom to cut. 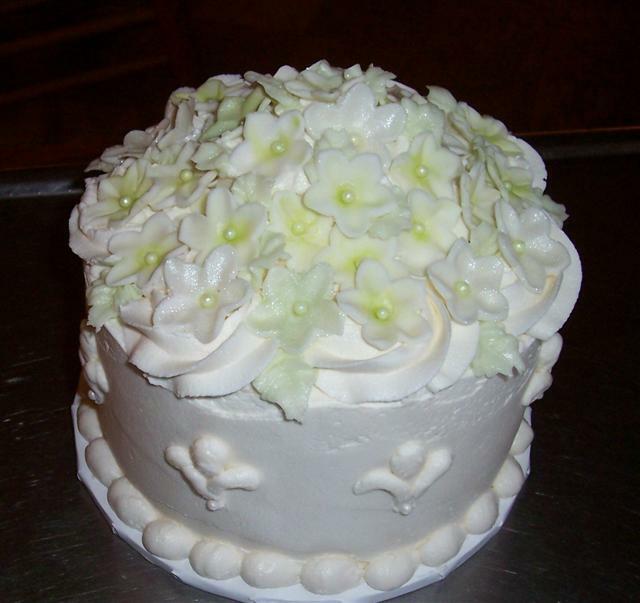 Mixed flavors of chocolate and yellow butter cake with almond and vanilla butter cream frosting.Topped with fondant flowers, some dusted with pale green others with white pearl dust. 6″ cake for Bride and Groom to cut. I combined the 2 cake flavors, one layer of chocolate the other yellow butter cake with vanilla frosting.